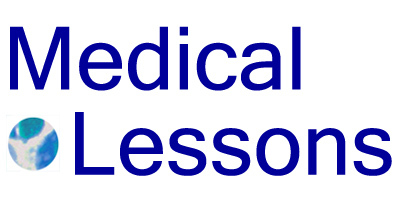 Medical Lessons – Should People With Health Problems Talk About their Conditions? Before I became a journalist, I rarely talked about my medical problems. When I was working at the hospital I tried not to mention, or show, the pain I was experiencing in my back to colleagues or even friends. Eventually I had to tell a higher-up about it, because I didn’t take narcotics and the pain became limiting. Rounding was difficult. I needed a chair. Long after “coming out” to my friends about my diagnosis, I realize now that what’s most important is telling people about the disease. Telling waiters why I’ve brought a special pillow with me to a restaurant; legislative aides who want to know what their bosses can do; and strangers who ask, almost rhetorically, if I am in pain. The point of the article, as I understand it, is that big-name diseases like cancer get loads of media attention and sympathy from strangers. Relatively few people “get” the suffering of those with rare or less mortifying conditions. This is especially true when there’s no celebrity who speaks, writes, sings or otherwise whines or rails on it. People who don’t feel well want empathy, or at least a bit of consideration. OK, now I’m going to say what’s hard, and I might regret, but I’m not sure that everyone needs to hear about all of our ailments: Sure, if you’re a writer, you can sort through your medical issues and feel better by expressing yourself, as I sometimes do here, and in principle and occasional reality help others facing similar disorders. And if you’re an employee somewhere and you need to take time off or accommodation for a disability, you may need to talk with your boss about what’s going on. But do you need explain to the person on the checkout line or, say, a mother organizing a bake sale, why your back hurts? Why you frequent the women’s room? Or why you need a seat on the bus? I am truly ambivalent about this. My only way out is to tell you of an error I think I made, in withholding information. After my spine surgery, when I couldn’t sit up without assistance, or raise my arm to brush my teeth, and then eventually was practicing walking with a cane, wearing a brace in warm weather under modest clothing, I deliberately didn’t visit or walk by my place of work. I didn’t want my colleagues to see me looking frail. I wanted to return to work looking strong and standing straight up, as if nothing were wrong inside. Already I’d had the cancer treatment – surgery and chemo – and they knew about that, although we didn’t speak of it much. Mainly it was women coworkers who visited me when I was hospitalized. That is understandable. Most of my colleagues didn’t know about my back. Not really. A lot of people have back pain, after all. What’s the difference, scoliosis, fusion, a revision, a clot, whatever…Or about my other conditions. It was TMI. Over time I was becoming a burden to the group and – astonishingly in retrospect, I felt badly about that. I worked harder than most, to compensate for my disability (which I had trouble acknowledging, internally), and that further damaged my health. I sometimes wonder, now, if I had told my colleagues earlier, and let my non-cancerous conditions “show,” would I still be practicing medicine today? “Everything is copy,” is a phrase Nora Ephron learned from her mother. That’s according to her son, Jacob Bernstein, who detailed some of her final days in the New York Times Magazine. But Ephron kept quite a bit to herself. She was a sharp and successful lady. I am a cancer survivor (6x – non-invasive) and I have had insulin dependent diabetes for 35 years. I have always talked about my medical condition, when needed (surgery, let’s say or what to do with a low blood sugar). For me, it makes sense to talk about this so people know what is going on. But, there is a difference between sharing information with those you work closely with and focusing on your health issues all the time – say in the check out line at the grocery store. I am also a writer…and maybe everythinig is copy, per Ephron, but is it worthwhile copy of interest? Hi Joyce, Thanks for writing in. Agree that where you are – on line with strangers, or among friends – matters. Work gets tricky, though, b/c the bottom line is that most employers want people who work comfortably and for long hours, w/ rare absences and few excuses. I think it truly depends on your relationship with those with whom you work. I was a Clinical Educator for an oncology research group when I was dx with cancer for the 2nd time. My employer went out of their way to keep me on the payroll so I would have insurance as my husband had lost his job. The comment was made to me by the CEO that even if they had to have me alphabetizing index cards to stay on the payroll, they would. I was so totally embraced and supported by everyone and for that I will always be eternally grateful. Yes, it does – and that may be affected by the stress and pressures your colleagues face, in terms of time and compensation for their work. If they’re happy and well “covered,” they may behave more generously and kindly, without resentment toward a colleague or employee who needs time off or reduced responsibility for a while. Hello Dr. S – such an important topic here. I too am of two minds on this issue. After my own heart attack, I soon learned to stop talking about distressing symptoms or concerns to my grown children, because the distress on their faces was so upsetting to me. What they hear – and see – is “Fine, just fine” no matter what. It’s a 2-edged sword however. While we don’t want to encourage the self-absorbed to go on and on (and on!) about each over-shared detail of every medical visit or condition, we don’t want to shut down those who really should be sharing relevant details of their condition to appropriate others in their lives – as you describe in your spine surgery story. Hi Carolyn, I think you “get” the issue, well. No easy answers and, of course, it depends on the personalities of the people in the conversation. Your comment about discussing your health with your grown children was very pointed. I, too, am careful about what I say. My daughter asks about the state of things frequently whereas my son avoids the topic all together. I avoid sharing with those not close to me. Too much can be misconstrued and I really don’t enjoy that dance. I agree with Carolyn. After having so much misconstrued in my medical history, I have become circumspect. It is appropriate to hold on until you are certain of your facts and have had your relevant tests explained to you correctly before any speculation. People who tend to chase you up, even if they think it’s well meaning, do not always have your best interests at heart. They can hamper your progress, cause doubt and mistrust in your doctors and create unnecessary anxiety by their comments. Sometimes we really need to back off until someone is able to share. A respectful distance is sometimes the kindest and most thoughtful response. I always tell my good friends and family what my illness is once I have clear and concise confirmation from my doctors and can be certain that I am speaking from a position of knowledge. Unfortunately in the age of FB there is some real over sharing going on. Not all that healthy psychologically.